Pacific World revealed at EIBTM today that it is joining forces with TUI-owned DMCs in Europe and India a bid to become a global DMC, event management and PCO brand. The company, which is part of TUI Travel and already covers eight countries in Asia Pacific, will now incorporate the operations of Ultramar (Spain), TravelScotWorld, (Scotland, UK), TUI Hellas Corporate Services (Greece), Miltours (Portugal) and ICE* and Mintcentives (India) under one newly revamped brand and a single management team. 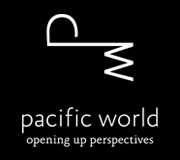 Pacific World said the aim is to bring the "art of Asian destination management to the rest of the world", and also to grow its exisitng event management and PCO competence centres by investing more resources into these areas. "We are mainly a DMC and will continue to be so," Pacific World regional director, South East Asia Manuel Ferrer told C&IT. "But in some of the major destinations like Singapore and here in Barcelona, we also do congresses and event management, and we want to build on this." Ferrer said Pacific World would look to continue to grow its presence, in both Asia, Europe and the US. "If you look at Europe, you can see we have yet to have a presence in key markets like France and Germany, so those are obviously of interest, as is America, and destinations like the Philippines in Asia," he said. "We want to grow in the countries where there is demand from our clients, but without compromising our brand promise, which is outstanding customer care, best in class delivery and opetations and creativity."